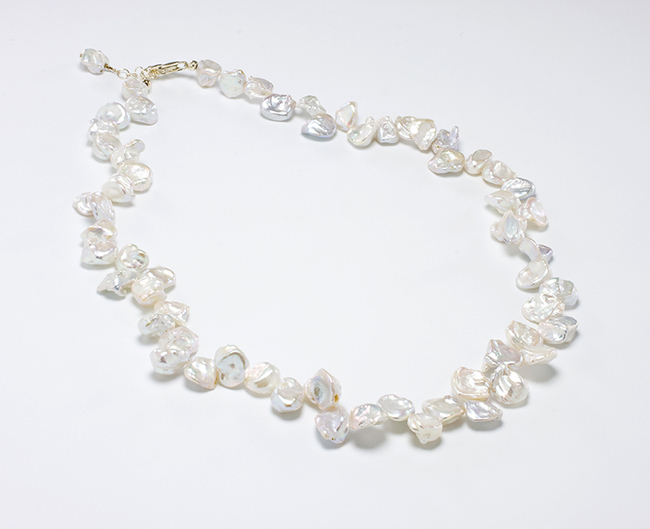 Keshi Pearls is a non-beaded pearl formed by accident as a by-product of a pearl culturing operation. 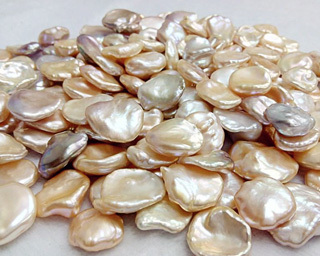 Keshi pearls are formed when the oyster rejects and spits out the implanted nucleus before the culturing process is completed, or the implanted mantle tissue fractures and forms separate pearl sacs without nuclei. 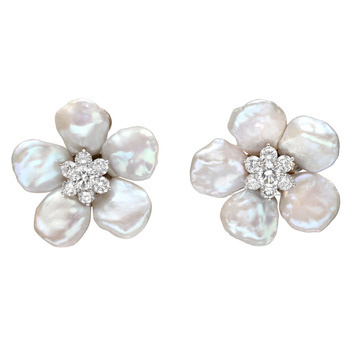 These pearl sacs eventually produce pearls without a nucleus. 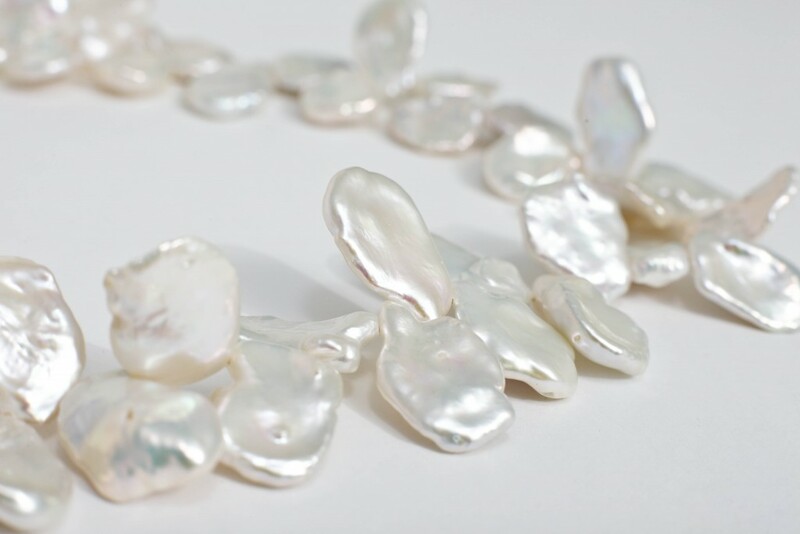 Keshi may form in either saltwater or freshwater pearls. They are generally small in size and because there was no nucleus to guide the ultimate shaping of the pearl, their shapes vary widely. Keshi comes in a wide variety of colors, and tend to have high luster and even rare orient. This is due to their solid-nacre composition.